I started my company, Eastside Performance, in 2002 in Somerton Park, Adelaide. I was inspired by Boyd Coddington and the business model we established was based on our passion for classic cars and how we wanted people to see us. I have been in the industry for thirty four years and my background as a motor mechanic gave me a good understanding of working with cars, owners expectations and the service provisions enthusiasts wanted. The business has grown to meet the needs of car enthusiasts from across Australia and we currently employ eighteen full time staff in our large, open workshop. The workshop has thirteen bays and five hoists and we utilise a vast array of modern and old school equipment to service, restore and enhance our clients cars. As for the cars, we do anything. We have built a reputation around Australian and American classics but have worked on everything from Mercedes to a V8 Sunbeam Tiger and have sourced a 1931 A model Ford from the United States for a Queensland client. We also provide log book servicing, tune ups and general mechanical repairs for new cars including Ford, Holden, Toyota and many others. To maintain our quality standards we do everything in house including panel and paint. 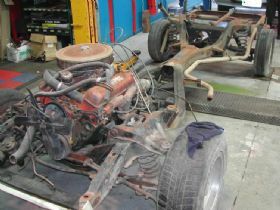 Our services include all aspects of general servicing, ground up or partial restorations, a large performance division, gas conversions, radiators and exhaust, car location and import service, spare parts, wheel and tyre fitment, engineer certification and compliancing, detailing, drive train upgrades and rebuilds together with dyno diagnosis. 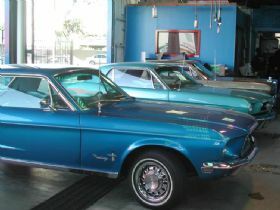 The mechanical servicing division provides general services for any modern or classic vehicle. 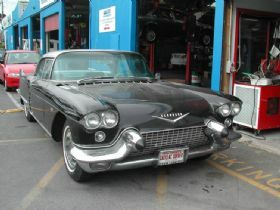 Anything a client requires from log book servicing to a regular tune up on a classic can be performed in house. We specialise in fuel injection setups and cleaning and have all the necessary diagnostic tools to support this function. 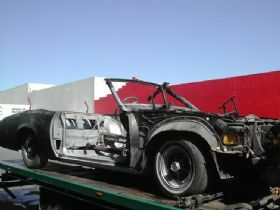 Our restoration division can provide partial or ground up restorations. Rust repair, panel work, fabrication, drive train and electrical is all carried out in house ensuring the quality expectations of customers is met. 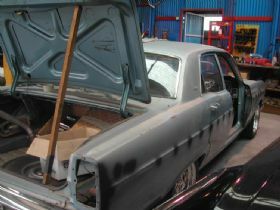 We have all the necessary equipment on site and skilled staff to undertake any size project on any marque of classic car. 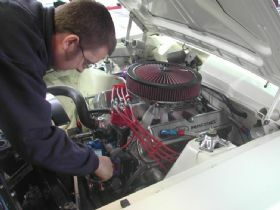 The performance division provides the full suite of modifications. We start by asking the client what do you want the car to do? Ratio changes in differentials and gear boxes, flash tuning, suspension and brake upgrades, engine building, custom fabricated 9 inch diff housings, fuel injection and carburettor upgrades are some of the enhancements we have provided for clients. Air suspension is a speciality and we provide design, fitment and repair services. We are also agents for Harrop. Harrop manufacture and supply components for brakes, suspension, cylinder heads and supercharging and provide a complete range of products for Holden, Ford and Toyota. 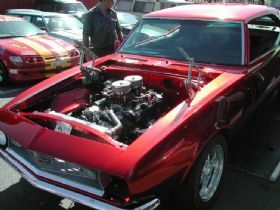 Their reputation was built around GM products but they now provide products like short shifters for Fords and their superchargers are very popular across a range of vehicles. 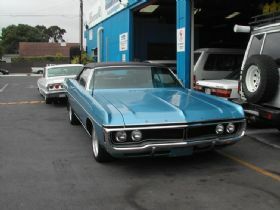 Our gas conversion division provides conversions for all modern cars and we have done a number of classics as well. 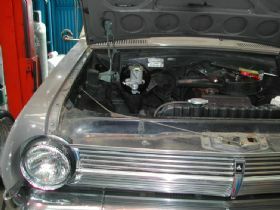 We recently fitted a full gas system to a 1959 Dodge station wagon. This involved hiding the gas tank, locating the gas filler in the petrol flap and hiding all the lines so that only a very trained eye would know it was running gas. We have done V8 Chev powered Jaguars and Rolls Royce conversions and one of our strengths is we have a service department and we can see what works fifty or one thousand kilometres later. We also provide maintenance, full fault finding diagnosis and tune all of our installations on the dyno. We are a NATRAD franchisee and have won the state franchisee award of the year for six years and the national award for franchisee of the year in 2007. In house we can fabricate alloy, copper and brass radiators as well as make all the fittings, build custom intercoolers, catch cans and overflow bottles. We also provide fitting, repair and flushing for cooling systems. 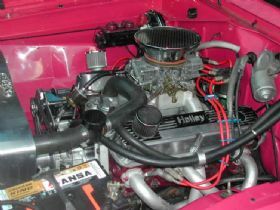 We can design, fabricate and fit air conditioning, heating and demister systems for hot rods or classics to meet local registration requirements. We provide a range of exhaust options. We can supply and fit a number of manufacturers products covering mufflers, headers, pipes and tips or can custom fabricate anything a client would like to enhance performance, provide a nice note or needed ground clearance. We have sourced numerous cars from the United States and if you are looking for a classic just tell us what you would like and we will find, inspect, import and register it for you. This is a complete no hassle service allowing us to do what we do best so you can have the car of your dreams. On the other hand if you have found a car in the United States through one of the many classic car related websites or eBay and are looking to ship it into Australia we can provide a competitive quote and all the relevant information regarding this service to you. There are numerous government departments to deal with including DOTARS and the Australian Customs Service and depending upon how much you want to take on yourself we can provide a full end to end service or just handle the shipping component for you. We have a dedicated full time spare parts person and a significant amount of inventory. We find that after a customer has exhausted every avenue they come to us and we find the part. We have supplied everything from local muscle to European and American classics and even the oddball Skoda. Our motto is never say never and through a network of global contacts we normally can find what you are looking for. 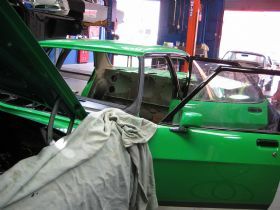 If it cant be found we can potentially repair or fabricate most parts. A number of our clients have show cars and we provide a full detailing service that includes exterior, interior and under body detailing. We have the necessary equipment to provide show standard quality on site with a sludge pit, steam cleaner, internal shampoo machines and paint polishing to really make your car stand out in a crowd. With vast array of services offered we have our own engineer and provide a one stop registration shop. We will take a clients car, carry out the work to their specifications, compliance it, get it registered and hand over the keys so they can drive it home. Since we opened the doors our clients have recognised how serious and committed we are to getting it right and providing the quality in the finished product they are looking for. The staff share our passion and take pride in building long term relationships with our clients and their cars. 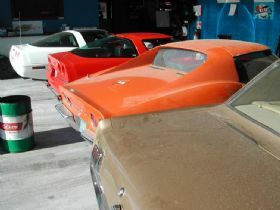 The staff understand classics and own a number of fine examples including a Pontiac Firebird, Mustang fastback, 62 Bel Air, Dodge Polara, Buick and Chargers. The company sponsors a number of organisations and events including Mustangs on the Move, an involvement with the Birdwood Museum and our sponsorship of the Rock n Roll Rendezvous event, the Adelaide Crows and Adelaide 36ers, XR8/XR6 owners club, Tickford club and a presence on community radio. You are welcome to drop by the workshop and discuss your requirements. We have a fully fitted out retro waiting room in the company colours of red, white and blue that features big screen attractions, club lounges and 50s memorabilia complete with a vending machine to ensure a comfortable visit. You can also call us on (08) 8294 7272 and view more information and see the work we have done on clients cars on our website. Andy and the team @ Eastside Automotive.